“God does not burn out. Let Him use me to add to His family” was the prayer of one woman after attending IF:Gathering 2018. Over 200 women from all of our campuses experienced a weekend of teaching, discipleship, conversations, and encouragement. “There was good teaching, good fellowship, and it was encouraging,” said another woman about the weekend. Speakers challenged the women to fan the flames of their faith. As one woman put it, “continue being a light or flame even when we feel we aren’t making an inch of difference.” They were inspired to deepen their faith and trust God with everything. “I felt Him speaking to me about obedience and patience and remembering to trust Him in order to strengthen my faith” said one woman. Throughout the weekend, they spent time in each other’s homes talking together about what God was teaching them and sharing their success and struggles. I was reminded “God is working all things out for His good, it’s been difficult, but I know He’s at the helm” said one woman. Over the weekend, women were challenged to look around and identify others they could share God with through discipleship. After the weekend, one woman said, “I feel God calling me to look at the opportunities for discipleship right where I am, right now instead of waiting for better times or conditions.” I need to “reach out to the people God placed on my heart to disciple” said another woman. Everyone enjoyed spending time with each other and having real conversations about life and faith. “I love the time learning and growing with other women” said one of the attendees. 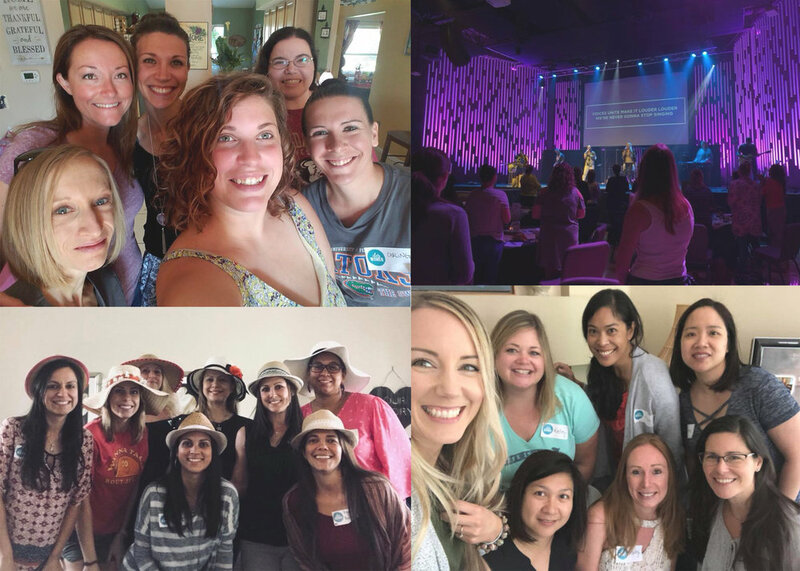 God used the IF:Gathering to change lives and help women across all of the Chets campuses connect with each other. If you want to build relationships with other women and grow in your relationship with Christ, then you don’t want to miss IF:Gathering 2019. Discover how you can daily choose to trust God with the big and the small. And learn how leaning on God’s understanding and way of life is always better than our own. To sign up visit chetscreek.com/if-gathering before March 29.